Rocketed up the world rankings this year by playing on development tours in Asia. Recently finished T3 at Final Qualifying to earn a European Tour card. A player to keep an eye on. We are into the final throws of the golfing year, the PGA Tour and European Tour are into their winter break but there are still tournaments around, especially for those willing to pocket an appearance fee or two. Hong Kong Golf Club hosts it’s national open this week and it has produced some surpise champions in recent years with Wade Ormsby and Sam Brazel taking the title. I’m looking for another outsider to take the spoils but he’s not a complete unknown quantity. Kurt Kitayama first appeared on my radar when playing on the Web.com Tour in 2017. A big-hitter he bagged some top-20s early in the year, including a T17 at the Puerto Rico Open on the PGA Tour before disappearing. He started 2018 ranked 1187th but is now up to 334th and is still moving up. He earned his maiden win at the PGM Darulaman Championship on the Asia Development Tour and has followed that up with four further top-10s including most recently at the Asia-Pacific Diamond Cup Golf. If you take his last five results they read 52-19-4-13-3, with the last of those coming at Q School, where he was leading going into the final round of qualfying at Lumine. 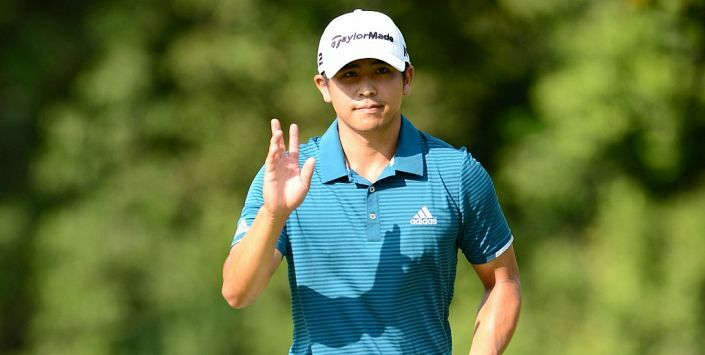 Kitayama should be on a high after earning European Tour playing rights and given his experience of playing in Asia he is a lively outsider for the Hong Kong Open. In the long term I can well see him following in the path of Peter Uihlein and Julian Suri by winning on the European Tour. William Hill are paying 6 places at 1/5 odds.